Jane Urquhart, who started publishing in the era of Michael Ondaatje, Rohinton Mistry and Dionne Brand, among others, today sits in the canonical literary space of Canada. And come January, she will join the Western community as the 2019-20 Writer-in-Residence, following Cherie Dimaline. 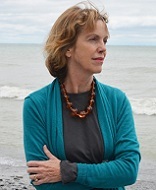 She is the author of eight internationally acclaimed novels, among them The Whirlpool, the first Canadian novel to be awarded France’s Prix du Meilleur Livre Étranger; Away, winner of the Trillium Award; The Underpainter, winner of the Governor General’s Award and finalist for The Orange Prize in the UK; and The Stone Carvers, a finalist for The Giller Prize, the Governor General’s Award and Britain’s Booker Prize. Urquhart has also written a collection of short fiction, four books of poetry, and a biography of Lucy Maud Montgomery. She was editor of the most recent Penguin Book of Canadian Short Stories. Her work, which is published in many countries, has been translated into numerous foreign languages and she has received numerous awards nationally and internationally. The WiR program is co-sponsored by the James A. and Marjorie Spenceley Fund, the Department of English and Writing Studies, the London Public Library and the Faculty of Arts & Humanities.